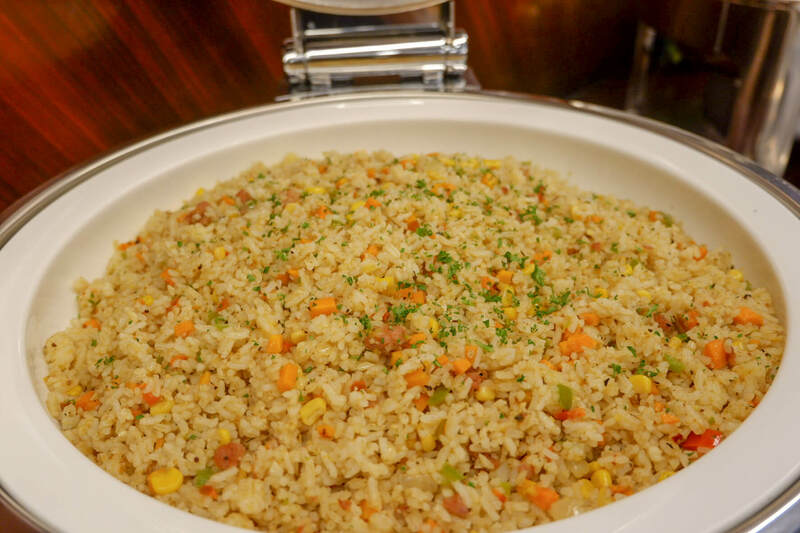 The Philippines is gradually adapting to a diversified choice of foods. With several restaurants and food outlets opening anywhere in the country, it may be hard for you to decide which kind of cuisine should you give a try. 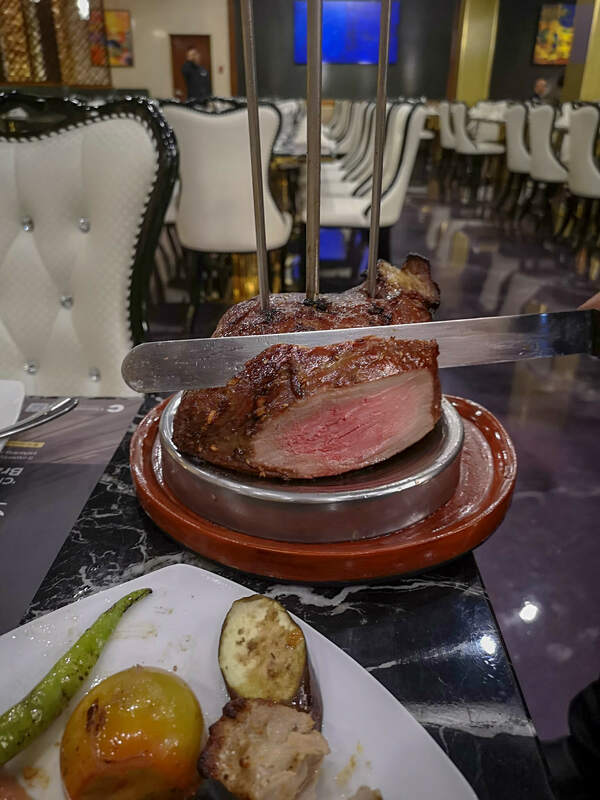 Having the chance to try the Chateaubriand which will open in a few days is definitely on the top list of the Brazilian-themed restaurants you shouldn’t missed. Fun fact: Chateaubriand was derived from the name of a well-known French statesman and author, Francois-Rene de Chateaubriand. His name was also used by a steak dish that has been long ago patronized by its people since 18th century. Outside of the restaurant, bean bags are laid on the grass and looking at the stage that gave us the chill vibe even before we enter the restaurant. 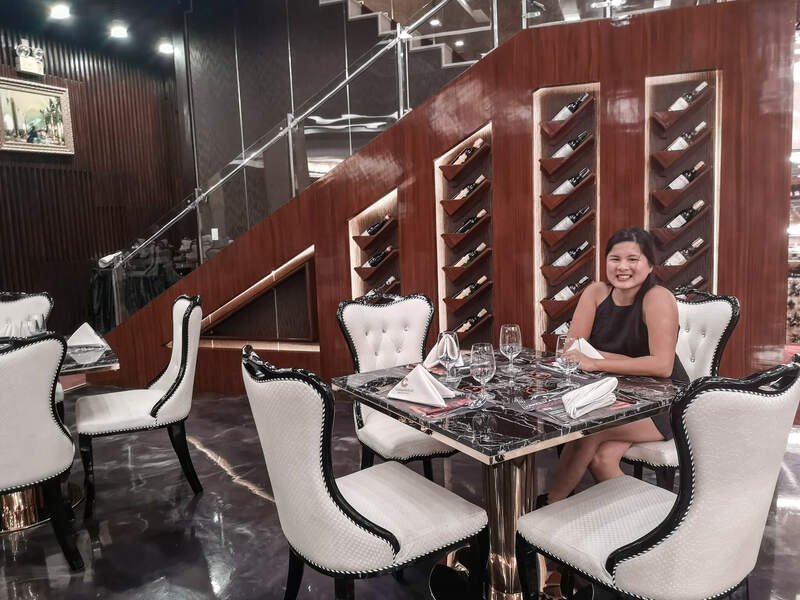 From chill, it went way classy from the way we were greeted with roses as if it’s our own entourage to the wine shelves, dessert table and tables that are in cubicles which give privacy to each guests. A total instagrammable restaurant. The restaurant is the perfect place to celebrate all kinds of occasion. Whether having some quiet time with your loved ones or bonding with your family and friends. 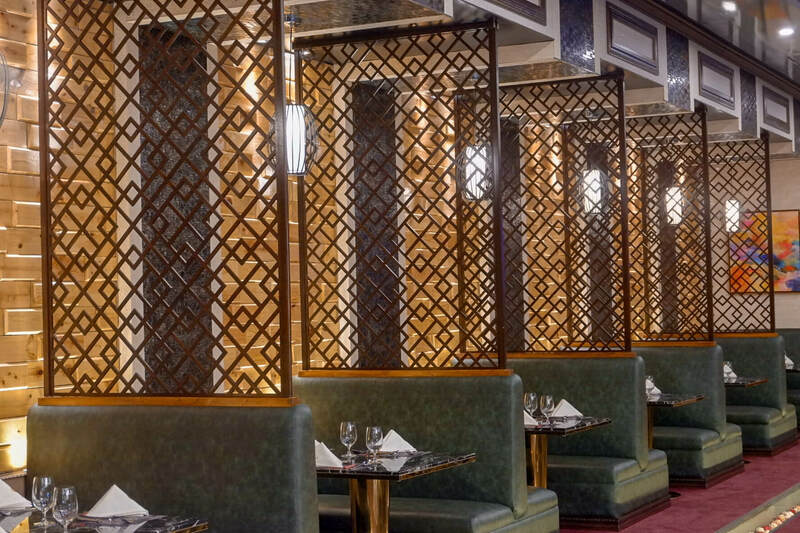 The atmosphere of the restaurant makes you feel comfortable, cozy, and at ease. 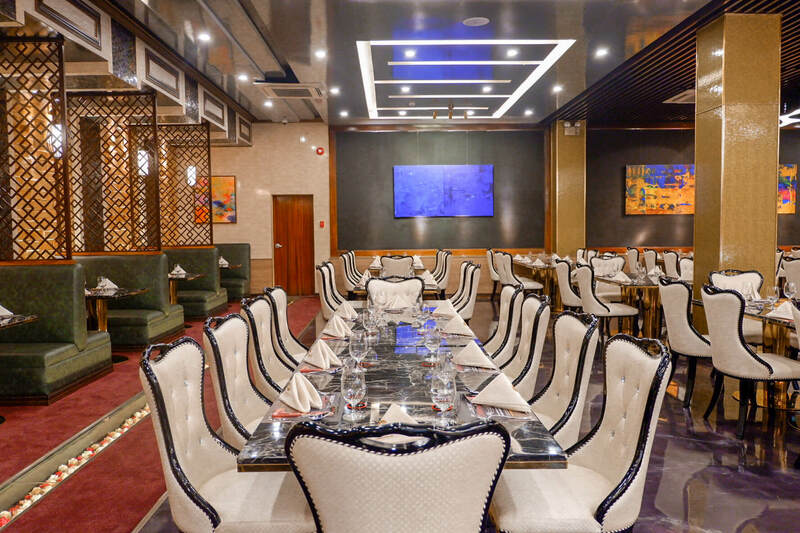 On the 1st floor, you’ll see the fine dining churrasco buffet with live band area and a bar outside. And on the 2nd floor, you’ll see the live concept kitchen. The staff is really accommodating and met most of our expectations during our stay. I must say that before I left the place, I was really full – every food was just utterly savory. 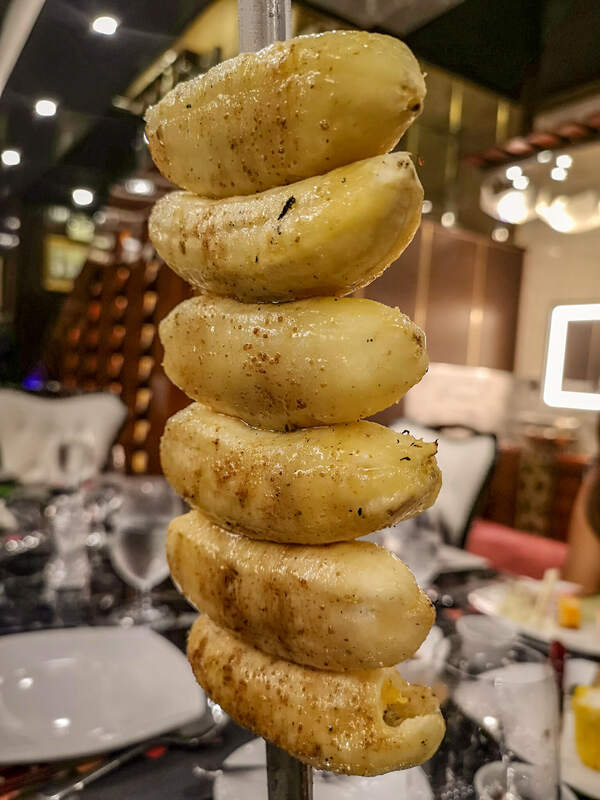 Churrasco is the most visited food in their menu that comes with six (6) meats going around together with vegetables. You need not to go to Brazil to experience one of the traditional foods. Because Chateaubriand brought it here in the Philippines. Quick tip: Your table has a coaster that you can flip for no, thank you I don’t want that or yes, please I’d like to have that. While taking a dig on the meat experience, each has its own different tastes that you can pair with the sauces they have in the house; chateaubriand sauce, mushroom gravy and the chimichurri. Aside from churrasco, we also liked the Chateaubriand steak. The Mexican nachos, along with their salads, sushi, soup and pasta available were also quite good. On weekdays, unlimited churrasco and grand buffet lunch is at PHP 1,800.00 and at dinner PHP 2,000.00. On weekends, lunch is at PHP 2,000.00 and dinner is at PHP 2,200.00. 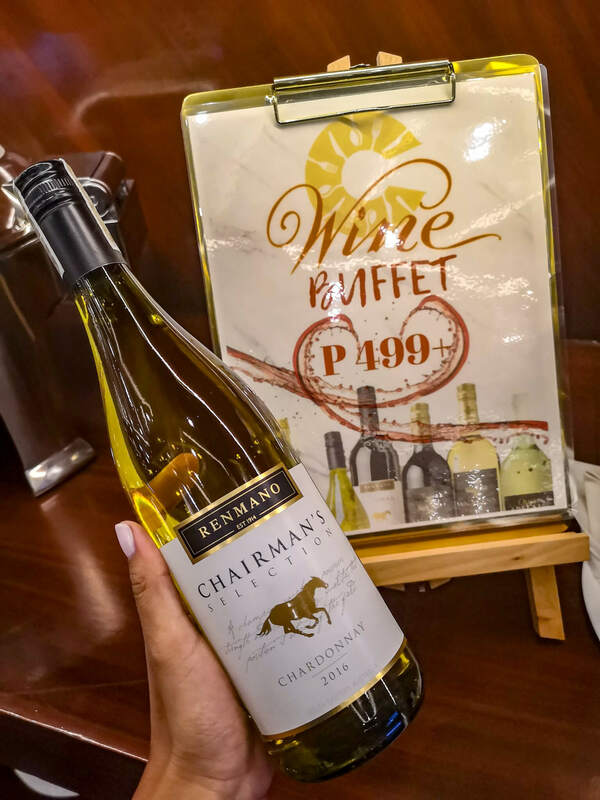 For unlimited red and white wine, it will cost PHP 499.00. For all day, they have the following food: Picanha which is a Brazilian Rump Cap, Alcatra which is a sirloin seasoned with a rich soy glaze (a total favorite! ), garlic steak, and linguica which is a classic pork sausage basted with garlic butter. They also have a chicken quarter marinated with lemon rosemary, the Frango. As well as the tender ham leg with a pineapple glaze, the Presunto. If you’re into corn, they also have Milho Assado with garlic butter taking the love for corn to a different level. Abacaxi is to satisfy your need for juicy pineapple with cinnamon and brown sugar. And as a banana lover, the caramelized banana with cinnamon really won me over. They also have roasted mixed vegetables if you’re worried you’ve had too much meat. For dinner, they offer Chuleta which is a rib-eye steak with a mesquite rust. And the Fraldinha which is a flank steak marinated with Brazilian spices. Alongside that, they have pork loin marinated with herb, the Lombo. Or go for the boneless lamb leg marinated with minted oil rub, the Carneira. For bacon lovers, they have Frango Con Bacon which is bacon wrapped around chicken breast and marinated with piri-piri. Fish wouldn’t be out of the menu through their Pescado which is a grilled marlin or tuna. There’s also a wide array of fruits, cakes, and breads for dessert. For entertainment/events, you’ll get to see David Jung perform; a Korean actor/singer, and also if you’re into Jazz, they’re also going to play it for the whole night which makes the place even more enticing to visit. 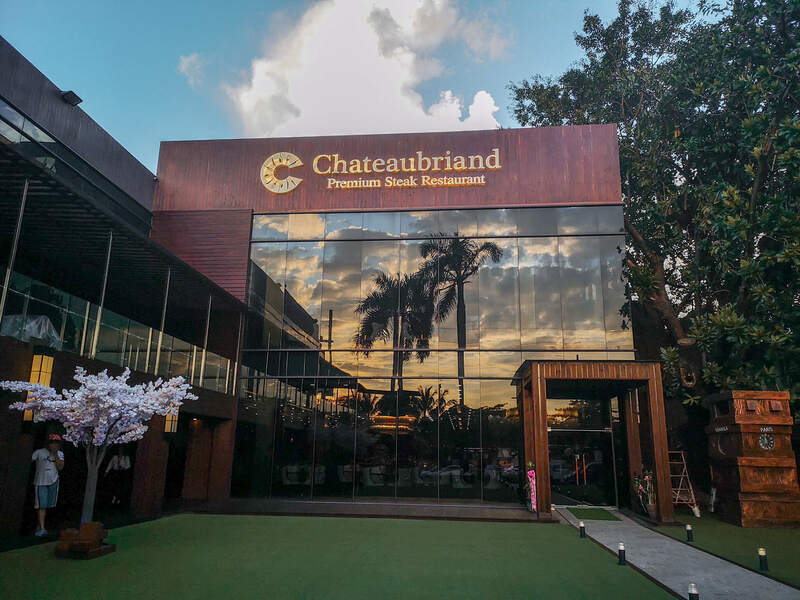 Other perks of Chateaubriand is you can reserve ahead of time and there’s also a membership fee for regular visitors. Chateaubriand is located at 110 William St. Corner Roxas Blvd. Brgy 13 Zone 4 District I Pasay City, NCR. Beside DFA and will be opening this 5th of October. You may reach them at 02 821-2031 or 0905-1403748 or send an e-mail at jyfnbph@gmail.com. 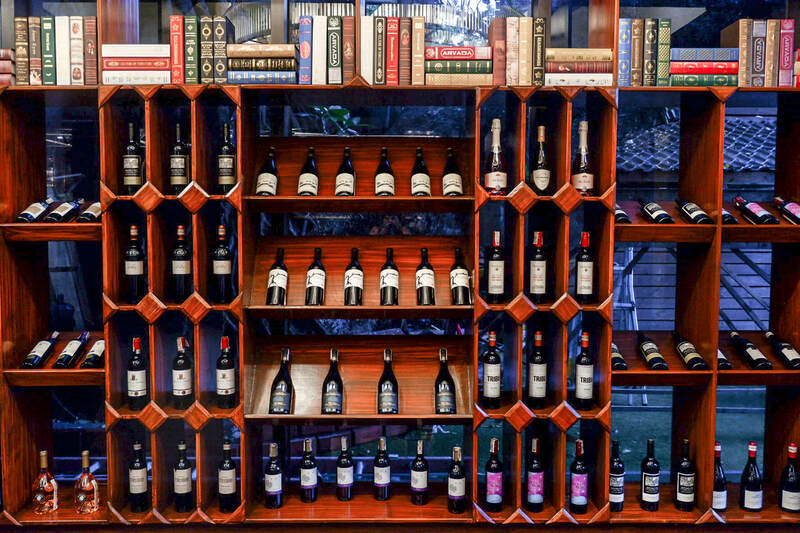 They’re open from 11:00 AM to 10:00 PM while the Chateau Bar is open from 06:00 PM to 02:00 AM.